How do you normally cook your steak on grill or barbecue? I often put them on plain with minimal seasoning to preserve the natural taste of the meat. Occasionally Tina loves to make a black pepper marinade for her T-bone steaks. Recently, I was approached to taste the new products of McCormick, Marinade in a Bag and Grill Mates. McCormick is in fact not a new brand to me. Dad has used an extensive amount of seasonings and spices since when I was young and I use their smoked paprika powder for many purposes these days. McCormick was established in 1889 in the US and has joined Australia since 1969. The company offers a large range of spices and marinades, produced from quality local and imported ingredients. 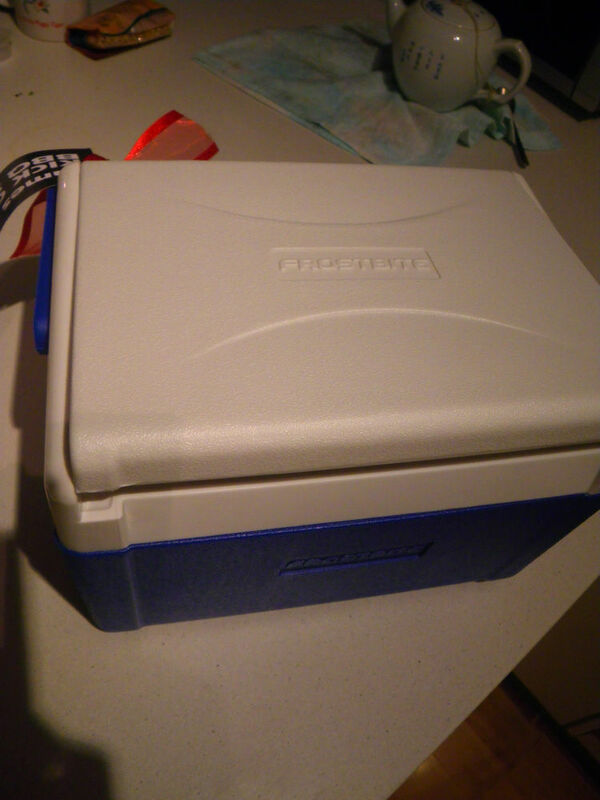 On Thursday last week, I received this esky from a PR company and it was filled with many goodies. Since I never tried to marinade my steak before cooking, I was excited to try the products. The original Marinade in a Bag varieties have been very successful since launching and the new additions to the product range are “Native Herb & Spice” and ” Spicy BBQ”. I decided to give “Spicy BBQ” a go with my steaks. The McCormick Grill Mates is new to the McCormick family and is specially formulated for grilling and barbecuing. There are four flavours as listed below. Out of the four, I went with “Bush Lamb” to taste the beauty of our native spices. Classic BBQ: This traditional blend of BBQ spices will be sure to bring out the best in your Aussie barbie favourites. Mediterranean Chicken: Take your barbecue chicken to the next level with this aromatic blend of herbs and spices. Blazin’ Pepper Steak: This fiery blend of herbs and spices will be sure to make your steaks sizzle. Bush Lamb: Adding flavour to your lamb chops and cutlets is too easy with this blend of Australian native spices including lemon myrtle and mountain pepper. The esky came with basically everything I needed along with some good recipes. For the spicy BBQ Beef steaks, I cooked then with a pan. The marinade came in a bag with a top which can be teared off and resealed. My 1 Kg porterhouse steaks were marinated in the bag in fridge for 30 minutes for better flavour. Another advantage of using the marinade bag was that no cleaning of excessive amount of dishes was required. 1. Marinate the beef steaks in the Marinade Bag for 0.5 hr in fridge before cooking. 2. 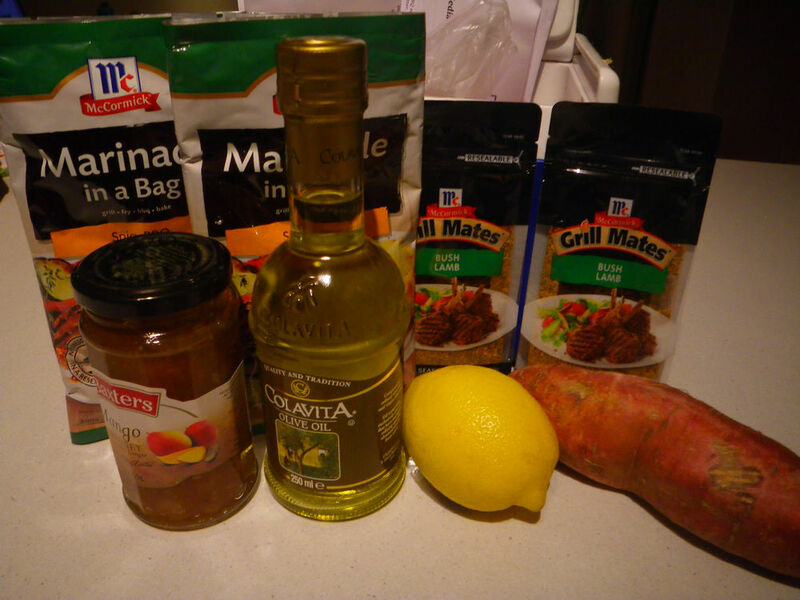 Meanwhile, season the flour with salt and pepper and dust the potato and sweet potato wedges with the seasoned flour. Pan fry until the outside has a gold color and a thin layer of crust. 3. 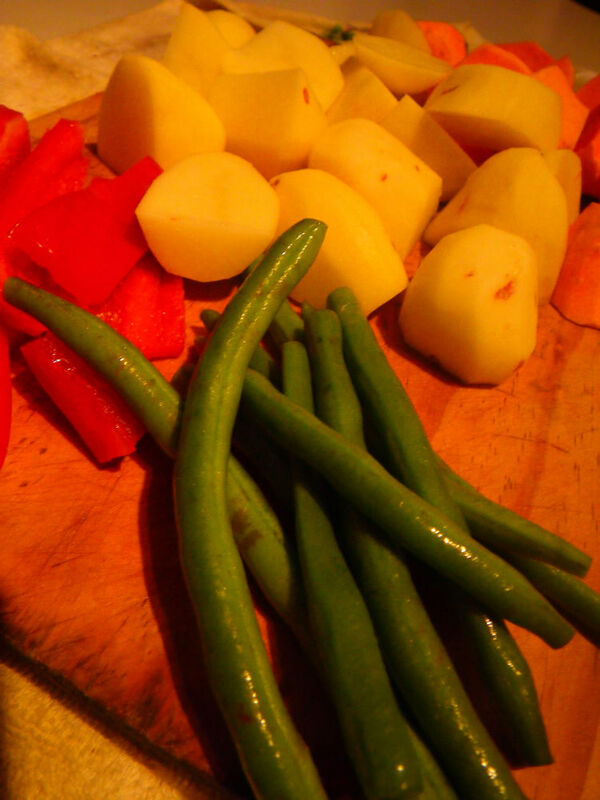 Bake the potato and sweet potato wedges, the beans and the capsicum slices in a preheated oven at 150 oC until cooked through. 4. 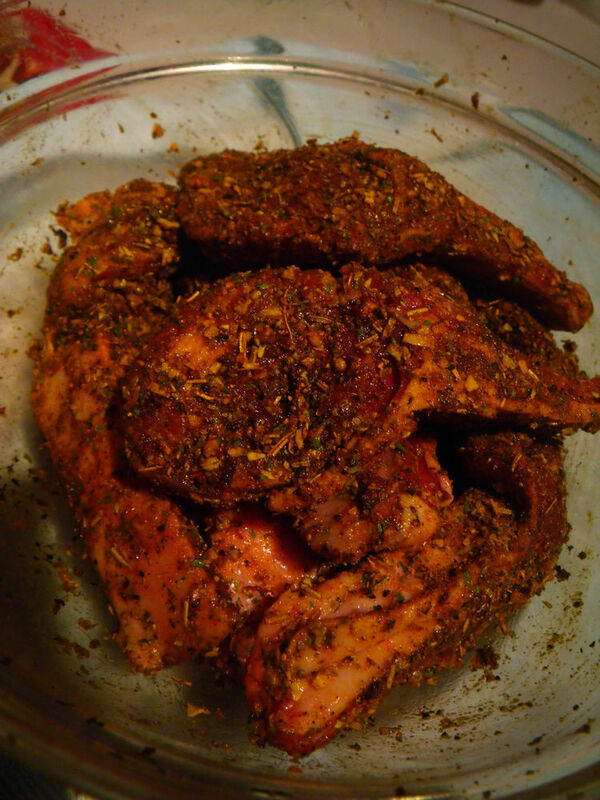 Take the marinade bag out of the fridge and raise to room temperature before cooking. 5. Use paper towels to wipe off excess marinade on the steak. Oil in the pan and heat until just smoky. Place the steaks in the pan away from you to avoid oil splash and continue to cook for 2 minutes each side for medium rare. If you prefer your steak to be medium, medium well or well done, increase the cooking time to 3 minutes, 3.5 minutes and 4 minutes respectively. Look at the amount of marinade in the pan. 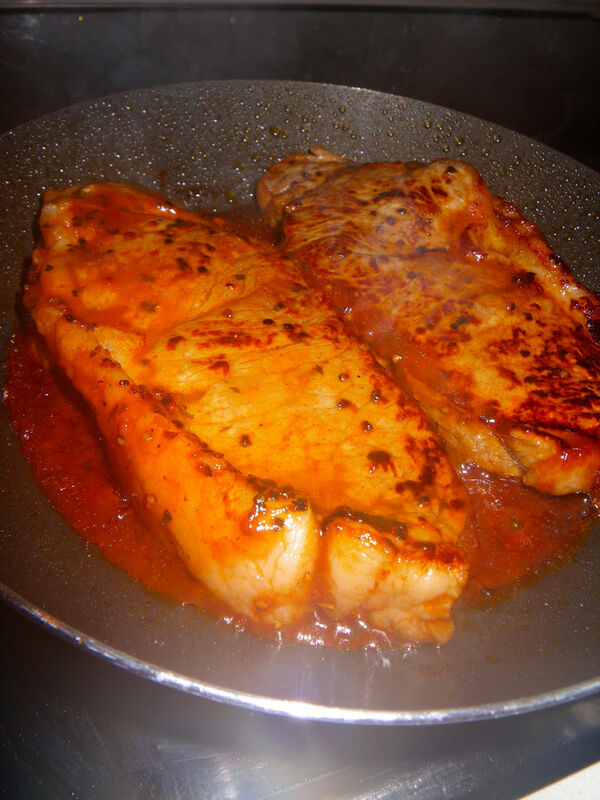 The marinade actually accelerated the caramelisation process and can create the char marks easily. 6. Rest your steaks. Resting steaks are as important as the cooking process. For medium rare, rest for 3 mins; medium, 4 minutes; well done, 1 minute. 7. Plate it up and spoon some of the marinade jus from the pan over the top of the steak. On the taste aspects, the flavours were wonderful! 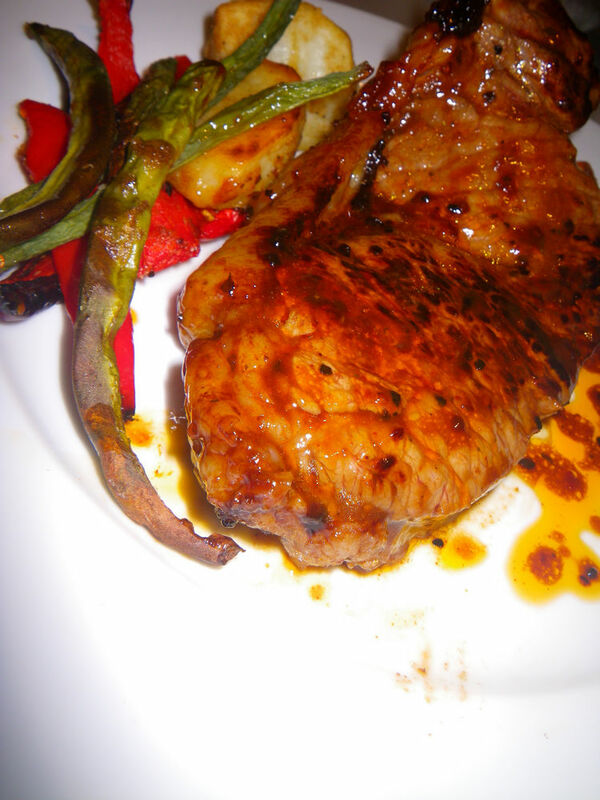 The marinade was not overly dominated with black pepper taste as I was able to taste some hot chilli. 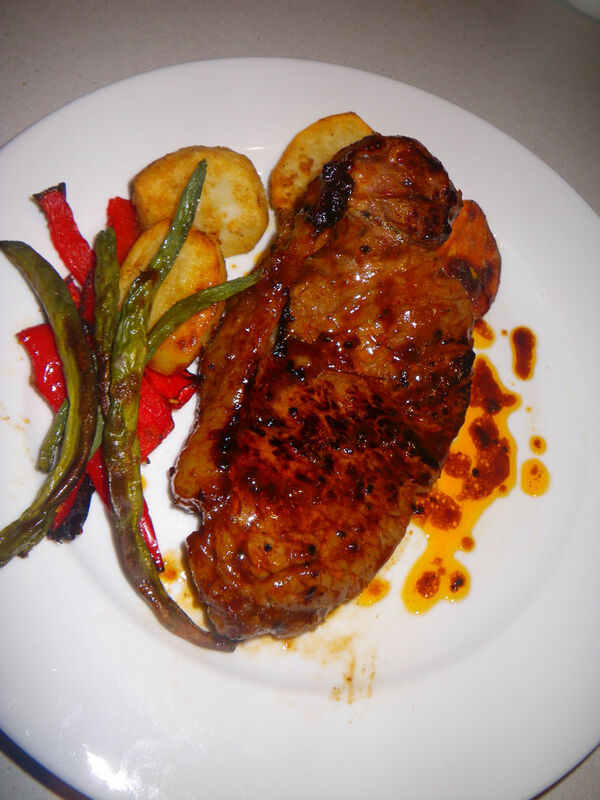 The saltiness and sweetness of the marinade were well balanced and the flavours complemented the steak well, especially at the medium rare level. The beef was so tender and the center was still pink with lots of juices and the flavours of the marinade actually promoted the meaty flavour and they combined to provide a better dinning experience. The smokiness and spicy flavours were detected on nose. For the new Grill Mates range, I decided to go with the Bush Lamb to experience our native spices. 1. Rub the Grill Mates Bush Lamb seasoning into the lamb cutlet. Add a drizzle of olive oil and set aside. 2. Fire up a charcoal grill and preheat at medium high heat. Cook the lamb for 2 minutes each side for medium rare or longer depending on the preference. 3. 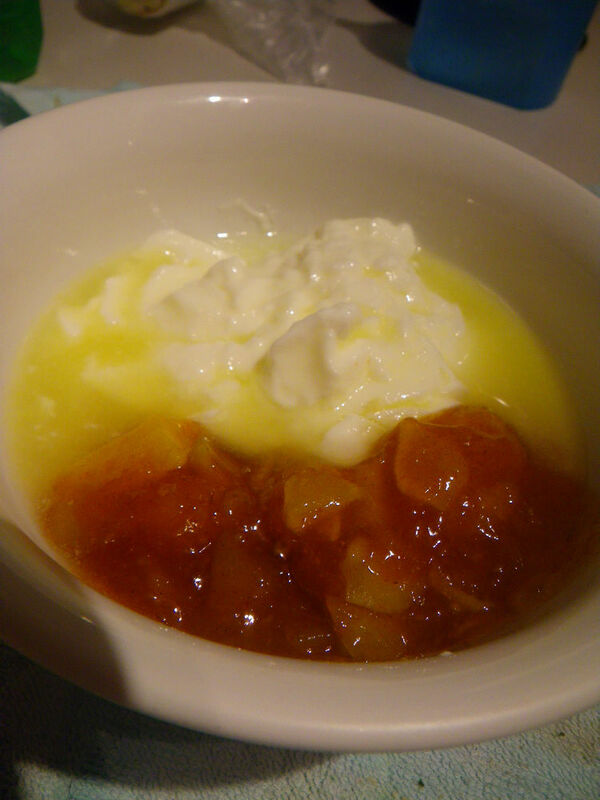 Combine the lemon juice, the yoghurt and the mango chutney well into a smooth mayonnaise. 4. Make a simple vinaigrette by stirring in the olive oil into the balsamic vinegar and make the green salad. The end result was fantastic! 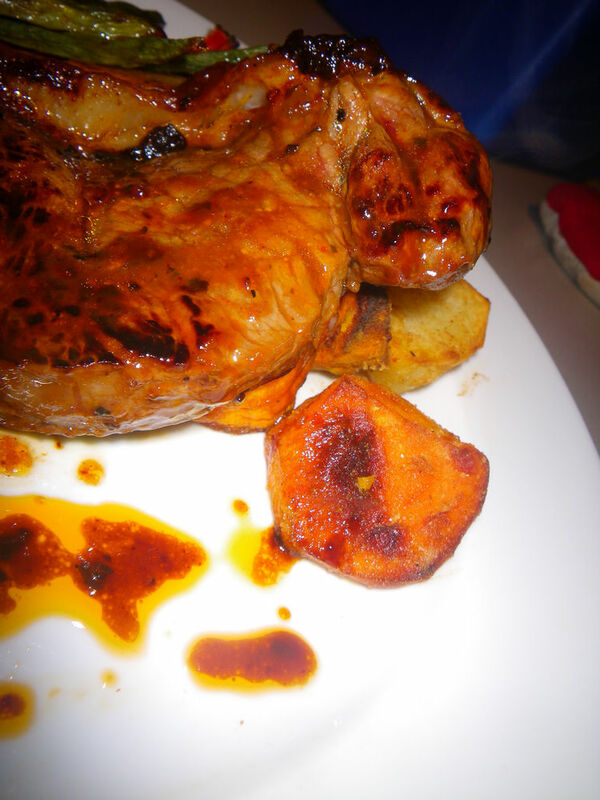 I normally cook lamb cutlet either plain or with red wine glaze but this Grill Mates seasoning added extra flavours to the meat. With some of Australians native spices like lemon myrtle and mountain pepper, the spiciness of this product was at medium level and can easily accommodate different requirements in taste. The lamb cutlets were so fragrant after cooking with excess fat dripping off on the charcoal grill and were so tender. The smokiness from the charcoal actually helped the diffusion of the seasoning flavours into the meat. I just can’t stop eating this dish and even by thinking about it. 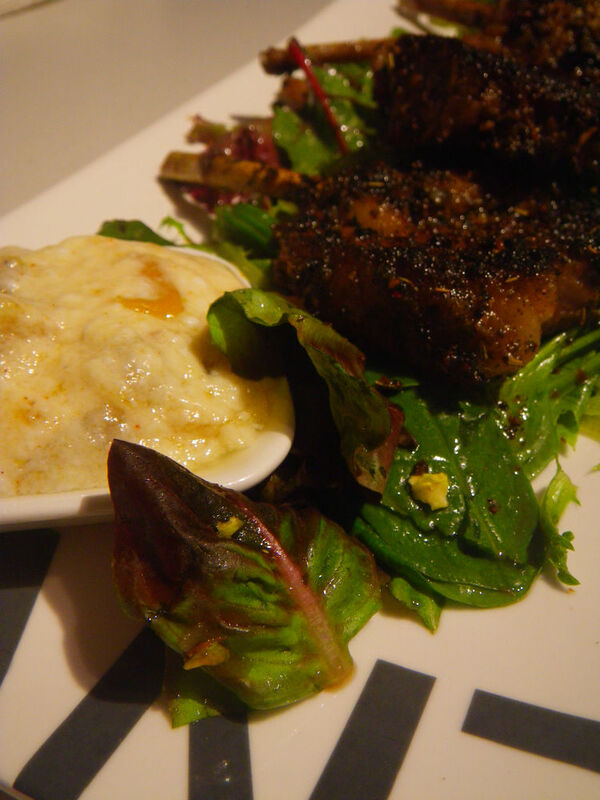 The seasoning actually combined well with the lamb flavour, leaving a long lasting sensation in the mouth. 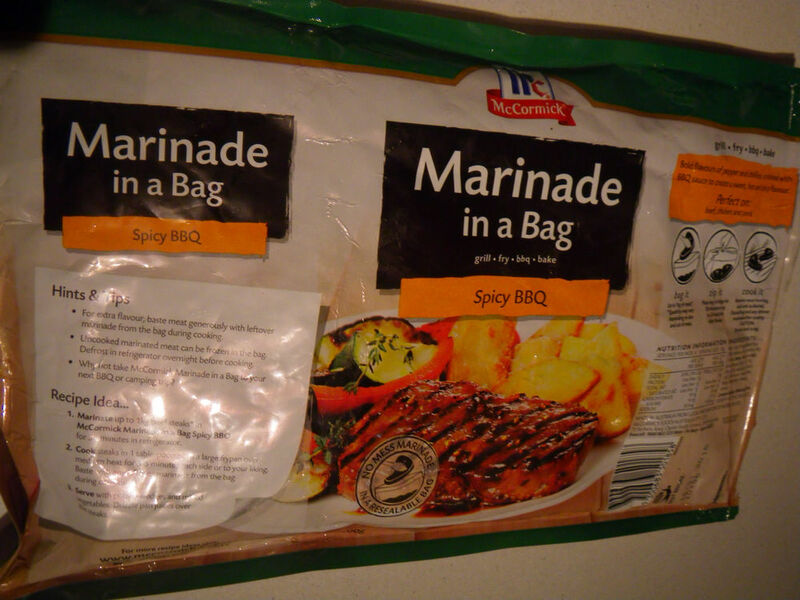 McCormick Marinade in a Bag products and Grill Mates products are available in Coles at $2.99 and $2.29 respectively. Coming up tomorrow will be a post on Asian Lantern Festival and different mooncakes with recipes. Stay tuned and enjoy! Just discovered your blog as one of the delegates for the EDB conference. Thought I’d say hello! Loving your posts so far… great recipes and snippets about your beautiful hometown. 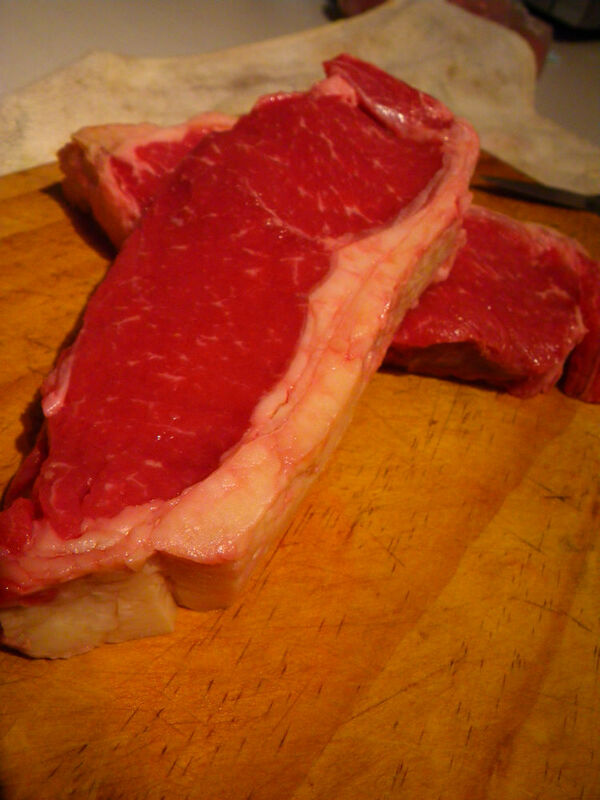 As for this steak? Ah, mouthwatering! I haven’t used any prepared grill mixes before but this one looks great. Hi Laura, thanks for stopping by and glad you liked my posts. I haven’t used prepared grill mixes before neither. I normally make ones for lamb myself. The products were lovely created and went well with the steaks 🙂 Are you going to EDB too? If so, I’ll definitely see you there then :D.
G’day! I love BBQ-ing all throughout the year Xin, true! 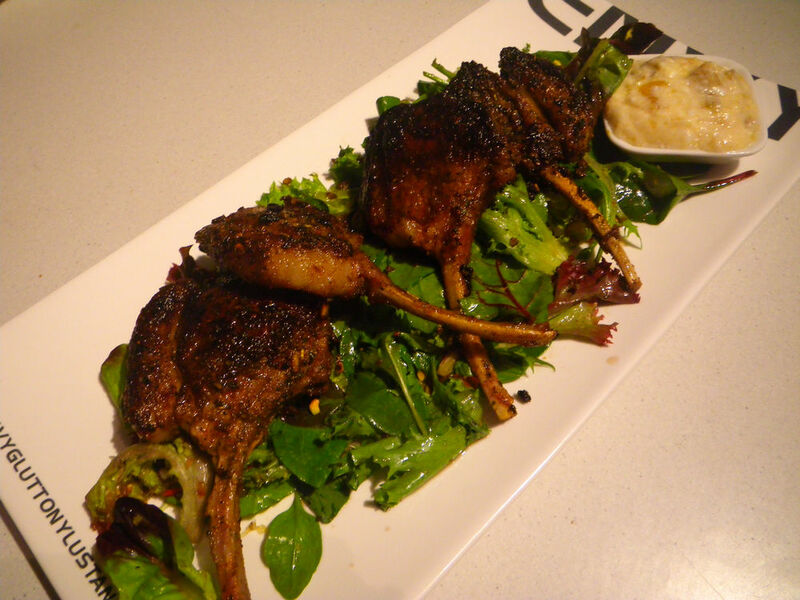 Nothing like great herbs and spices…your Bush Lamb Cutlets…could go for one now too! 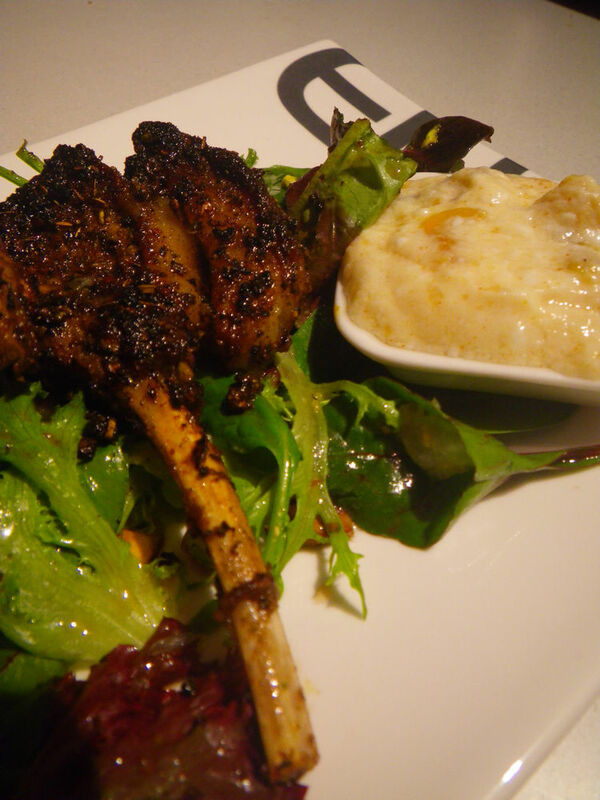 The lamb cutlet looks absolutely mouthwatering! Bought two packs of the Grill Mates tonight. Will give it a crack once getting home. Ohoh, at least I inspired you. lol Let me know what you think about the spices. 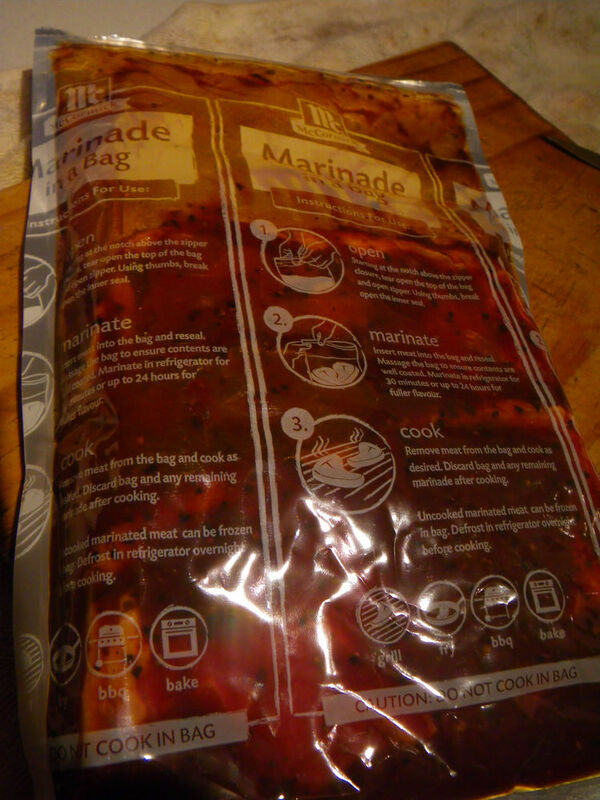 I love the idea of marinating in a bag, less washing up to do!! Exactly! Otherwise we all know how many dishes we have to wash. 😀 plus it’s also tasty.